Book a BBQ Caterer Today! Everyone loves a barbecue when the weather is good but it can be a lot of hard work if you are catering for several guests. 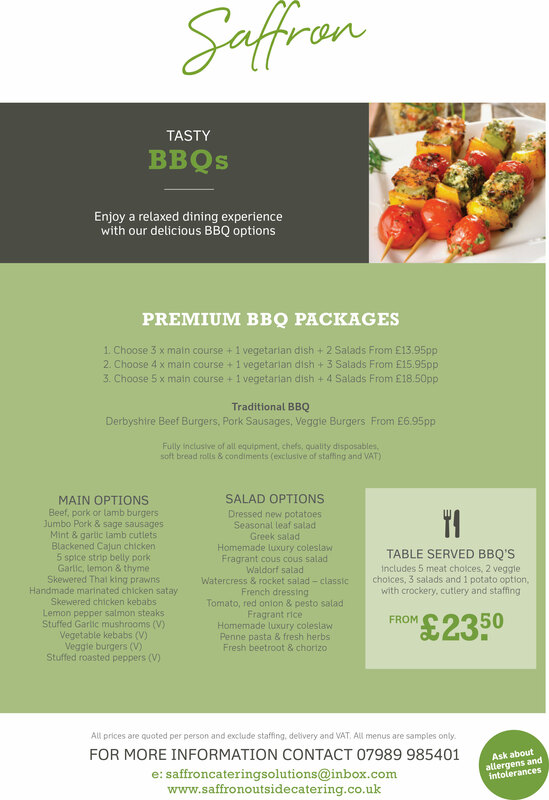 With our BBQ catering service you can take all the stress and labour out of preparing and serving food and simply relax and enjoy the occasion. We offer various premium BBQ buffet packages which include a chef, all equipment and quality disposables so you won’t have any mess to clean up at the end. You can also choose from a range of main course and salad options so that you can easily prepare to cater for everyone’s tastes. Whether your guests like their sausages or Greek salads, there will be something on the menu to please all your guests. So come down and see us if you’re in Birmingham, Nottingham, Leicester, Coventry, Derby, Soke on Trent, Tamworth or any of the surrounding areas.